Humble Beginnings is a licensed child care facility. It is our goal to provide a safe, healthy, learning environment for your child. We give children an opportunity to explore and discover in many different ways, but with an emphasis in art, music, science, math readiness and language. We use monthly themes that are chosen to promote learning in all areas of a child's development. This takes place in a loving, fun and happy atmosphere. Humble Beginnings operates year around offering full and half day child care programs that services children ages 6 weeks to 5 years. Summer programs are also available for older students during the months of June, July and August. Children learn best in an environment that is set up for them. They benefit both from engaging in self-initated, spontaneous play and from teacher-planned and structured activities, projects, and experiences. Management and staff at Humble Beginnings day care facility are knowledgeable about the childcare industry and childcare development. Owner, Mrs. La'Kesha Ford has an Associates Degree in Child Development and over 15 years of experience working with children. The day care is a stable environment for its children with staff all having over 10 years combined work experience in the industry. The inspiration to open a day care facility came after the birth of my youngest son. The day care was registered by the State of Michigan in 2001, as a family home childcare with a capacity of 6 children. In 2011, the demand for quality childcare grew and Humble Beginnings became a licensed childcare center with capacity of 30 children. Humble Beginnings child care believes that every child is unique with tremendous potential. Between birth and 5 years, each human being exhibits the most learning power of his/her life and it is our objective to take advantage of this dynamic stage in a child's life. We provide opportunities for intellectual, social, physical, emotional, spiritual and aesthetic development. 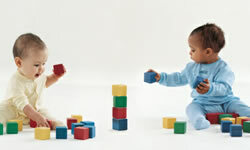 Infants (6 weeks to 12 months) - nurtured, cuddled and stimulated with light and sound in a clean and safe environment. Young Toddlers (13 months to 18 months) - through one-on-one interactions with caregivers, toddlers are encouraged to move around and participate in play and active learning throughout the day. Older Toddlers (19 months to 24 months) - Our older toddlers are engaged through creativity, music, active and problem solving play. 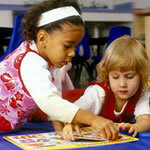 Pre-School - Pre-K (2 1/2 years to 5 years) - program designed to prepare children for kindergarten. Skills such as social, physical, emotional, visual, verbal, reflective and mental growth are emphasized. School Age Kids (6 years to 12 years) - Summer program offered to school age children from June to August. Activites include nature walks, art and other activities. Since inception, Humble Beginnings is govern by its core values. These values shape the culture that defines it's character and guides us in the decision making of the business. The organization embrace values such as: honesty, respect, accountability, caring and love. The mission of Humble Beginnings is to provide a safe healthy learning environment by equipping each child with the skills needed to enhance creativity and growth. For enrollment information, please give us a call at (313) 766-4500. We are open Monday through Friday from 7:00 am to 6:30 pm. We are closed Saturday and Sunday and all major holidays. Contact us at (313) 766-4500 or click here to email us.